Which termination of pregnancy should I choose? 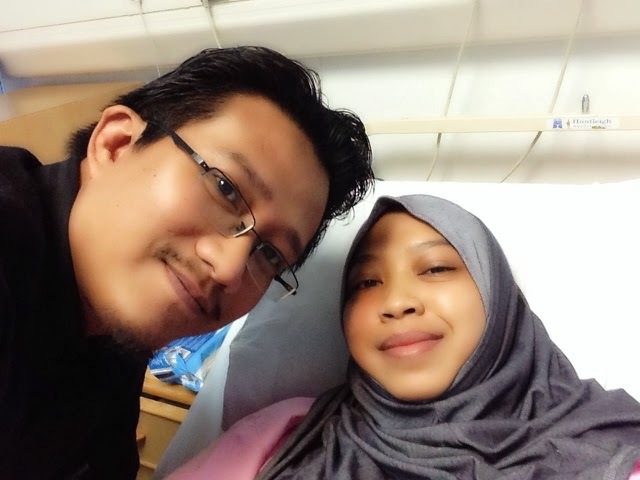 We returned from hajj in November 2013, and I had my mirena removed around the middle of November because we were planning to get pregnant as soon as possible, considering we were already 33. I have set 35 as my age limit for childbirth. 9th January 2014 was my last menstrual period & sure enough a month later there were 2 lines on the pregnancy test. Alhamdulillah all praises to Allah. Despite strong nausea & vomiting which usually indicates that the baby is growing healthily with high level of HCG, our pregnancy was short lived. I started bleeding at week 6 on the 24th Feb and got a long MC to rest at home. A consultant in O&G scanned me & said there is still a chance that the baby might still survive, but a subsequent episode of bleeding a week later was indeed a red flag. I passed clots & clots of blood & I was almost certain that the baby had gone to heaven. I opted for conservative management. I wanted to wait for the baby to pass naturally. In total I have waited 2 weeks, with minimal staining & mild crampy lower abdominal pain. On Monday the 10th of March, I chose to be admitted for evacuation of the product of conception (POC). My husband came along, cos he was still hoping for a miracle as I was still having morning sickness (according to a journal, it may take up to 6 weeks before the HCG come down to zero). Our old friend Dr Nik did the scan. The gestational sac measured at 10 weeks but collapsing & irregular in shape. The baby measured at 9 weeks but there were no movement, no heartbeat. So the diagnosis was a missed miscarriage in which the baby has stop growing but wouldn't pass naturally. 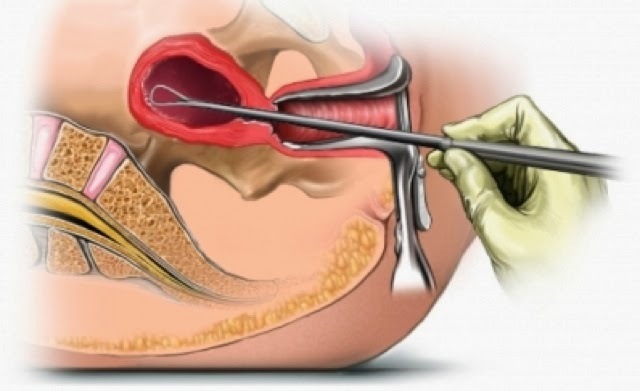 I was given 2 options, either a dilatation & curettage (D&C) which is a surgical intervention done under general anaesthesia, or a medical intervention, in which a medication called cervagem is inserted near the cervix to soften it & induce contraction, thus expelling the POC. So here are the pros & cons. - risk of asherman syndrome in which the lining of the womb is scarred, causing adhesion of the uterine wall & causing secondary subfertility. - husband can be with me all the time (ok, this is a privilege not all can have, as we were doctors here previously & the O&G doctor was nice & let him stay). I needed his support as I face the pain & the vomiting. - painful! (Like seriously! I needed pethidine twice, and subsequently vomited from the effect of the pethidine). How painful? It feels like I was going through a childbirth, except you know that at the end of the pain you will NOT have a baby as a reward. - you don't know how many cervagem do you need to evacuate the POC. 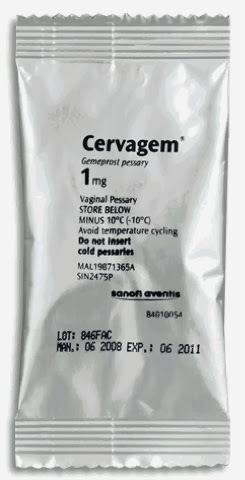 Cervagem is inserted every 3 hours till POC is passed. I had 3, as predicted by the O&G doctor, so Alhamdulillah. The maximum dose is 5 dose in a day. - repeated ultrasound scan is needed to ensure that the womb is "clean". So Alhamdulillah that episode in our lives has ended. This morning I woke up with a new set of soaring spirit. No more abdominal cramps, very minimal bleeding. It was indeed a valuable experience & I pray that all the pain & sadness that we had endured will result in some of our sins being forgiven by Allah. I opted for a contraceptive injection that will last for 3 months. I want to give time for my body to heal even though I am hoping to get pregnant again as soon as possible. If all goes well then it'll be a blessing but just the thought of the possibility of another miscarriage if I conceive too early, is just unthinkable. I want to stay healthy, eat healthy, exercise & maybe lose some weight in this 3 months. If Allah wills, in shaa Allah there will be that 2 lines that bring so much joy again. If not, in shaa Allah we are grateful for the 3 beautiful children that we have. Some people have difficulty in getting pregnant. Some people gets pregnant easily but miscarried as easily as well. Some had uncomplicated pregnancies & deliveries. Some pregnancy ended in a difficult miscarriage like this one that I had. It makes me put a lot of things into perspective. Every women who had a healthy baby, was indeed a blessing from Allah. Every time a family welcome a new member, we must praise Allah for His Greatness in creating a human being from a drop of water, residing in the strong haven called the "rahim" which also means the "merciful". The mother endures the 9 months of hardship, only to continue the hardship during the 2 years of nursing the child.